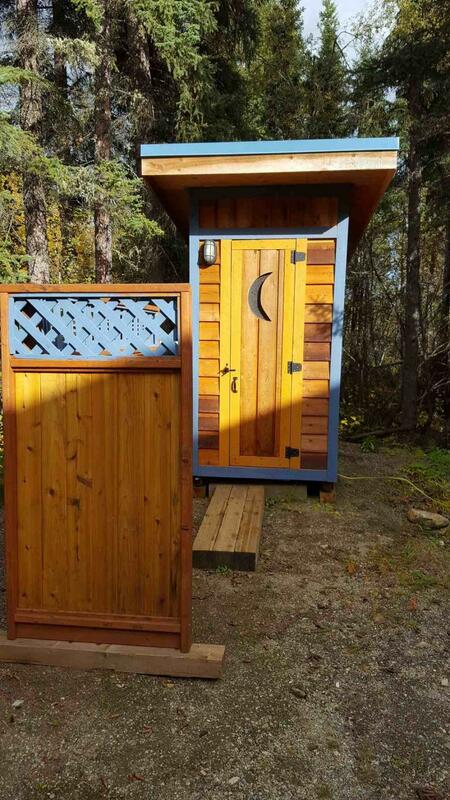 This ﻿16x20 log cabin with hot/cold running water to the sink is in beautiful Goldstream Valley, just six miles from the University of Alaska Fairbanks and adjacent to bike, dog-mushing, and ski trails. This is a non-smoking, no drugs, no pets cabin. Please visit the Rental Process page for rental details. * 16x20 log cabin with large loft. * 92 percent efficient Monitor oil heater with 200 gallon fuel tank. Renters report using only about 200 gallons of fuel during winter. * Triple-pane Northerm Low E, argon-filled windows, preferred by the Alaska Cold Climate Housing Research Center. Insulated fiberglass entry door. * Hot/cold water to kitchen sink, fed by 100 gallon water tank, pump/pressure tank, and four gallon instant water heater. Heat-traced and foam-insulated drain pipes. No messy slop buckets! * Laminate floor downstairs, carpet upstairs. * Hickory kitchen cabinets and laminate countertops. * Wood slat window blinds. * Regularly pumped and cleaned outhouse septic tank. * Private parking with winter plug-ins on timer. 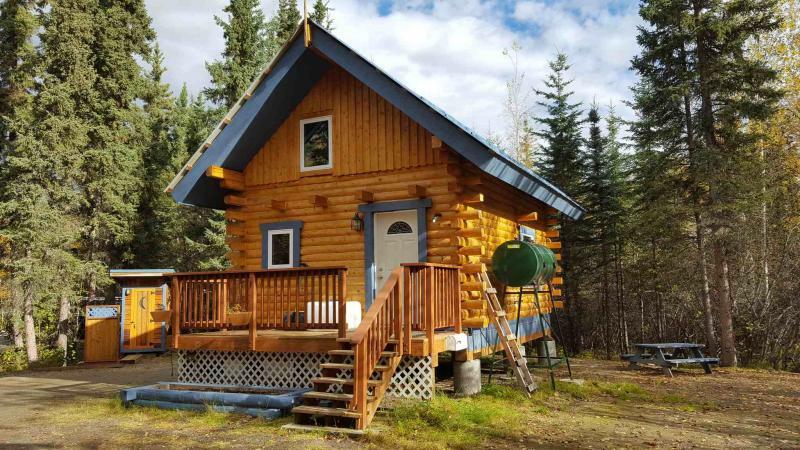 * Located in a quiet, private neighborhood close to the University of Alaska Fairbanks, and adjacent to ski, bike, and dog trails. * Snowplowing and hardpack removal provided. Cabins are close to a main road, and four-wheel drive is generally not needed.